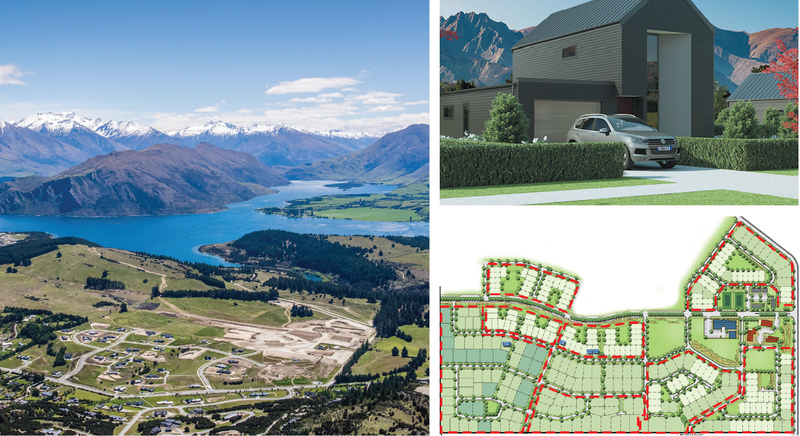 Paterson Pitts is the lead designer for the Northlake subdivision located at the outlet area of Wanaka. The development involves the design and construction supervision of the building of over 900 sections and a community village center. The sloping terrain and soils require careful design to ensure that the roading and associated earthworks provide an outcome suitable for residential development whilst achieving a low impact stormwater design outcome that ensures that post development flows off the site are equal to or less than the pre-developed land. Contact Alex Todd or Mike Botting from Paterson Pitts to discuss your next large scale residential subdivision.